What is an FPGA Development Board? FPGA Development Board widely used in electronic circuit’s device FPGA is field programmable gate array FPGA contains Programmable logic blocks and interconnection circuits. It can be programmed or reprogrammed to the required functionally after manufacturing. When a circuit board is manufactured and placed an FPGA as a part of it. This can be programmed at the time of manufacturing process and further can be reprogrammed later to update or make necessary changes. 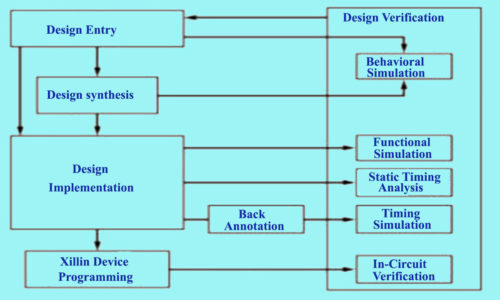 This FPGA is unique from Application Specific Integrated Circuits (ASIC) which can be custom manufactured for specific design task are. Past FPGA are used to develop low speed, Complex and Volume design, but today FPGA barrier up to 500MHz. 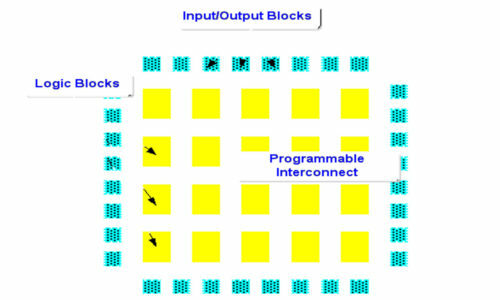 FPGA routing is generally unsegmented each wiring segment spans only one logic block before it terminates in a switch box. Turning on programmable switches within a switch box longer path can be constructed for higher speed interconnects. Generally, whenever a vertical and horizontal channel intersects in this architecture there is a switch box with three programmable switches. That allows it to connect to three other wires in opposite channel segments. The switch box topology one wire connect only to wires in track number one in opposite channel segments wires in track 2 connect only to other wires in track number2 and so on. Clock signals normally routed via special-purpose dedicated routing networks in FPGA commercial I/O pad can connect to anyone wiring segments in the channels adjacent to it. Hi my friend! I want to say that this post is awesome, nice written and include almost all significant infos. I’d like to look extra posts like this .